Infinity Revive Massage & Wellness Center is a therapeutic massage clinic located in Kahului, Hawaii. At Infinity Revive Massage & Wellness Center we are dedicated to providing our clients with the highest level of quality care and personal service. Infinity Revive Massage & Wellness Center offers holistic body wellness services practicing state-of-the-art-techniques combined with ancient healing arts: Shiatsu, Hawaiian Lomilomi and Pohaku/Hot Stone Therapy. We also offer Deep Tissue, Trigger Point Massage, Sports Massage, Swedish Massage, Polarity, Reflexology, and other healing body treatments that relax and soothe the body and mind. We offer therapeutic massage and have highly trained massage therapists who are friendly and knowledgeable and care about all aspects of your treatment. We customize each treatment to meet your specific needs by incorporating a variety of assessment and treatment techniques that are best suited to you as an individual. Infinity Revive Massage & Wellness Center has been located in Kahului, Hawaii, since 2010. We hope you enjoy your relaxation with us at Infinity Revive Massage & Wellness Center — Maui’s Premier Revitalization Center. 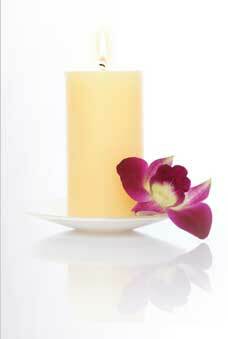 At Infinity Revive Massage & Wellness Center we are dedicated to improving the well-being of all our clients. WALK-IN AND SAME DAY CLIENTS ARE WELCOME!